Anticipation is slowly turning into reality in the virtual reality market, with Oculus recently announcing iminent preorder availability of their head-mounted displays. But there’s still so much uncertainty about it all, isn’t there? We don’t know how much the hardware will cost or when it’ll be released, and we’re only now getting an idea of the PC specs requires to run a smooth VR experience. 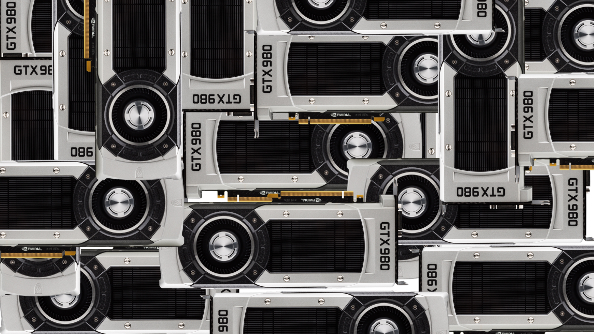 On that front, the forecast from NVIDIA is quite dramatic – you’ll need seven times the performance required to run current games at 1080p and 30 fps. Both Elite: Dangerous and EVE: Valkyrie are at the forefront of VR – and they’re among the best space games on PC. That’s based on the assumption that PC gaming equals 1080p and 30 fps (far from a unified standard), compared to two separate displays, each at 1680 x 1512 (a total output resolution of 3024 x 1680), running at 90 fps. “If you look at your typical PC gaming experience, 90 per cent of the gamers out there play at 1080p. For a smooth experience you don’t want to go below 30fps. Compare that to VR where the displays are about 2K, but you have to render closer to 3K, and you don’t want to go below 90fps. By the company’s own estimations, around 13 million machines worldwide are currently capable of running VR applications at those output levels. They also claim that number could be increased to 25 million by developers and gamers using NVIDIA’s own Designworks VR and Gameworks VR software. Gameworks alone provides up to a 50% performance increase, they claim. However, that sevenfold increase in system requirements stated by NVIDIA hasn’t been seconded by VR game developers themselves – Elite: Dangerous’s own recommended specs require a GTX 980 andIntel Core i7-3770K for VR, which is hefty but reasonable. If that 700% performance increase really is required, it’s certainly going to hobble VR’s widespread adoption. We don’t know how much the headsets themselves will cost, but the added expense of building a super high-end gaming PC is going to put a lot of people off.